If I'm being totally honest, I hate wearing sunscreen. Yes, sunscreen has evolved over the years and it's not the thick sticky substance we used to slap on back in the day, but I still hate it and am always on the lookout for one that I wouldn't actually mind wearing. I do wear sunscreen on a daily basis, but to be honest, I doubt that I'm putting on enough. In reality, you need to be wearing at least an SPF 30, reapply every 2 hours and get this, use a quarter of a teaspoon on your face. Hell, that's a lot! Nope, I'm definitely not using enough. Now that temperatures here in Kuwait are well into the 40's, it got me thinking about sunscreens. 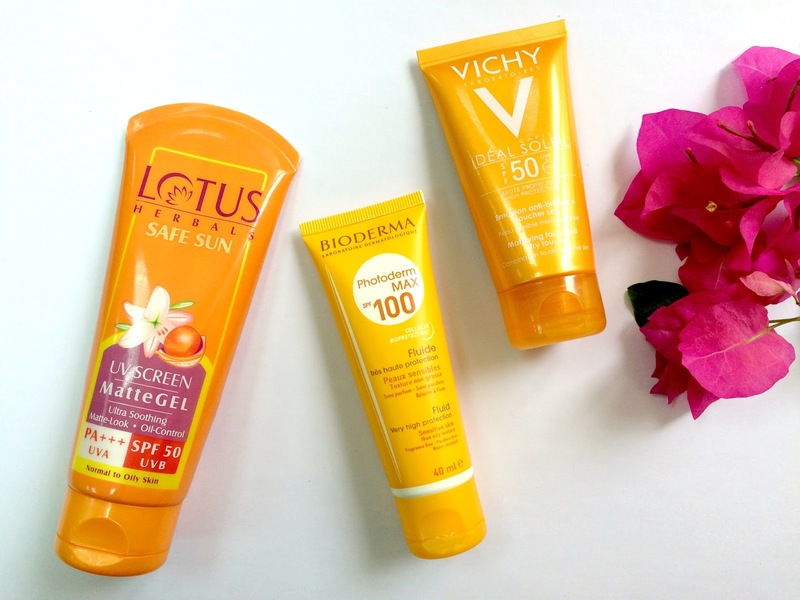 I currently own three different brands (Vichy, Bioderma and Lotus Herbals) and thought I'd write up a little about each. 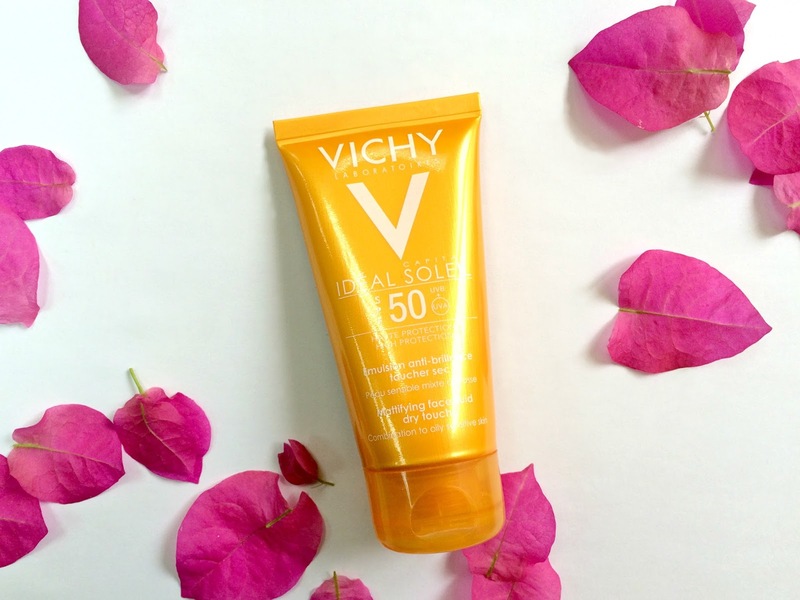 The Vichy Ideal Soleil SPF 50 Mattifying Face Fluid probably comes the most highly recommended and sounds perfect on paper. Besides, when every beauty blogger and her dog started raving about this, I had to try it out. The sunscreen targets those with combination to oily skin and it's actually not half bad. 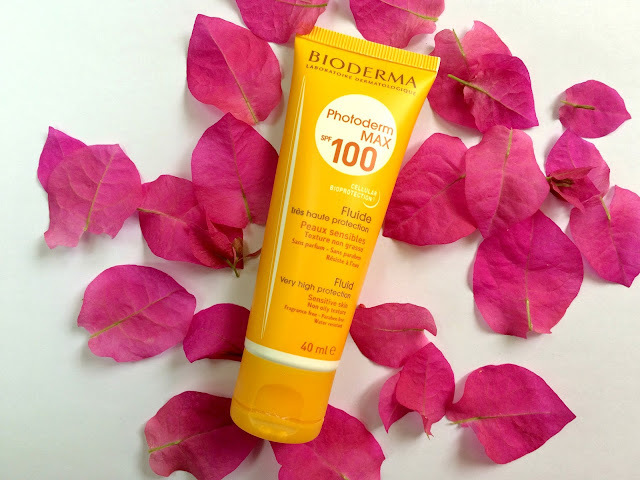 Though not a 100% matte, the sunscreen does absorb quite nicely and leaves a soft and almost dry touch to the skin without feeling overly greasy. The scent is nice, quite fresh like you've just gotten out of the shower, though if I could choose, I probably would do without the extra chemicals. My only complaint is that it does leave a slight whitish cast on my NC 42 skin, but that's nothing a little makeup can't hide. Throughout the day I have to reapply powder more often to keep the shine at bay compared to when I'm sans sunscreen, but overall, not a bad sunscreen. Next up is the Bioderma Photoderm MAX SPF 100 Fluid. This smells like a typical sunscreen, hence no added fragrance, and is a thinner fluid when compared to the Vichy. This doesn't absorb as well into the skin though and I can feel it sit on my face, even after taking the extra effort to massage this in. It also feels tacky and has a more pronounced whitish cast than the Vichy. The higher SPF is what drew me into trying this out as it meant that I could go longer between reapplications, or if I'm being totally honest, just have a longer period of protection. (Does anyone really take off their makeup to reapply their sunscreen?) But I can't get over the sticky greasy feeling and will not be repurchasing this. 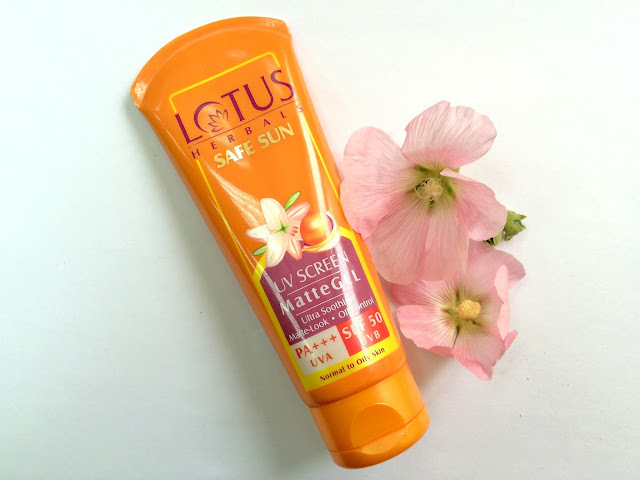 Last is the Lotus Herbals UV Screen Matte Gel SPF 50. My sister gave this to me to try out after all the hype surrounding its release, and after trying it out, I totally get it. This sunscreen really lives up to its claims. 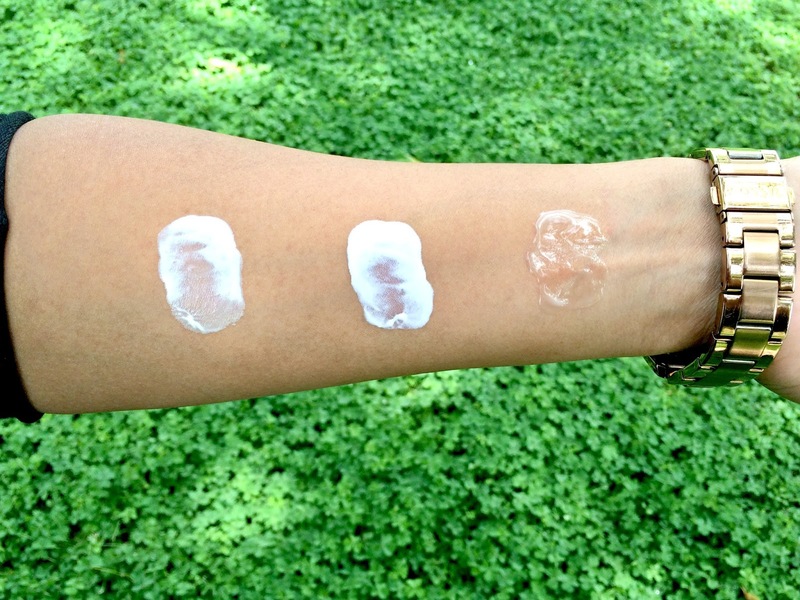 Is is a transparent white tinted gel with a very mild almost organic leafy scent (if that makes sense). This absorbs so quickly into the skin with very minimal effort and leaves you with a true 100% matte finish. There is absolutely no whitish cast left on the skin and the formula is so light, that it feels like you haven't applied anything at all. This however isn't waterproof. Accessibility to the brand is also a bit of an issue as Lotus Herbals being an Indian brand, it'll be quite hard to get your hands on internationally. However, you might try your luck at any store selling Indian products. The above and below swatches from L to R are Vichy Ideal Soleil, Bioderma Photoderm andLotus Herbals UV Matte Gel. 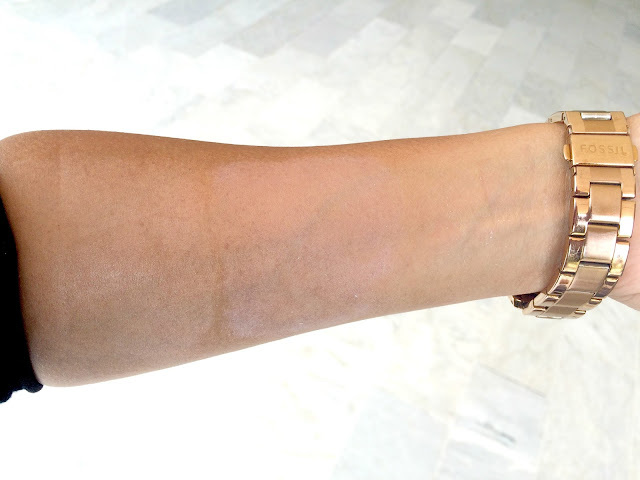 You can see in the above blended out swatch the whitish cast that both the Vichy and Bioderma give off on my skin, though the Bioderma is undoubtedly more noticeable. I should add that the more I kept rubbing the Bioderma sunscreen in, it started pilling which are the small flecks you can see in the photo on the Lotus Herbals side. The Lotus blended beautifully and has literally become one with my skin. On a side note, Bioderma has just come out with the Hydrabio Moisturizing Mist SPF 30 which is a light spray that is applied over your makeup. Sounds like the perfect sunscreen that can be reapplied in a cinch without disturbing your makeup! Makes me wonder why nobody has come out with this until now! Its not water resistant, but I wouldn't mind trying this out while walking out and about the town. You have to be careful with sprays though as they're easy to under-apply and easy to completely miss areas too. Apparently you have to apply this in a zig zag fashion across your face for a whole 5 seconds, but I'm intrigued and this will be my next purchase once I squeeze the last dollop out of the Lotus Herbals. What are your sunscreen recommendations? Would love to hear from you.